Fresh off the back of his performance at Coachella this past weekend (Sunday, 12 April), Martin Solveig recently revealed news of a 19 date residency at Pacha, Ibiza this summer. 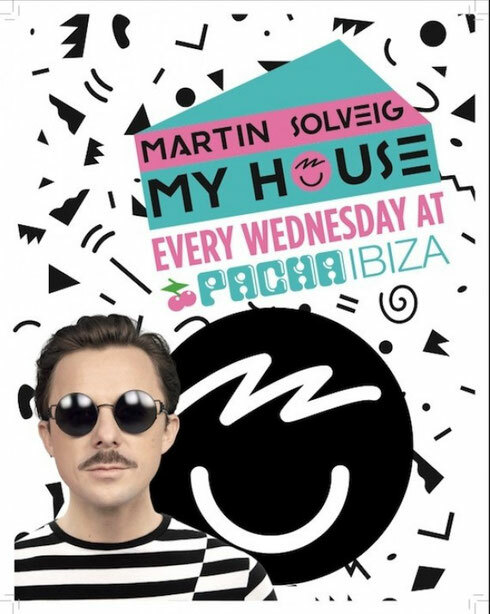 Kicking off on 27 May with special guests Madeon and Tiga, Solveig’s ‘MY HOUSE’ residency will run every Wednesday until its closing night on 30 September, as the Frenchman curates this new party on The White Isle. Additional special guests over the course of the residency will include the likes of Diplo, A-Trak, Zeds Dead, The Magician, Tchami, Blonde, Kidnap Kid, MK, 2ManyDJs and many more—all of whom will be showcasing their individual brands of house music. No stranger to the party island, this summer will be the landmark 10th consecutive year Martin has entertained the masses at Pacha, Ibiza. Following a 10 date residency at the nightclub last year, Martin now looks to up his game with a whole slew of fresh new tunes, a brand new image and even more shows.